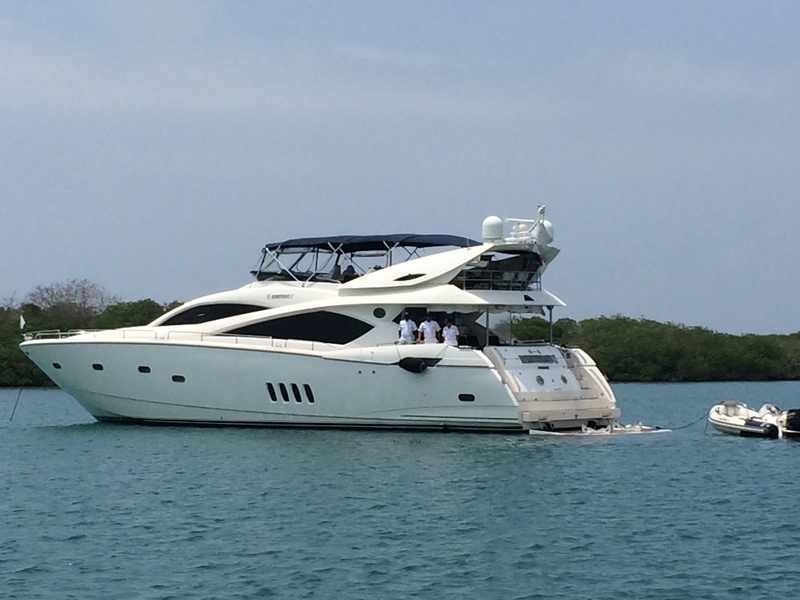 RJC Yacht Sales & Charter announces the sale of 82' Sunseeker, LADY CAROLE! The 82' Sunseeker Motoryacht, LADY CAROLE, sold with David Wiest at RJC Yachts representing the seller. Built in 2004 by Sunseeker in Poole, England, LADY CAROLE is a flybridge motoryacht which accommodates eight guests in four cabins. She features a large full beam master suite with a king bed. This 82' Manhattan has proven to be one of Sunseeker's most popular model, due to the solid build quality and internal layout. The large galley is opposite the dining area ensures ease at meal times and the large aft deck is ideal for alfresco dining. The interior finish is done in cherry wood, beige carpets, and leather upholstery. The large salon offers seating for eight in great comfort. Each stateroom is fitted with high quality finish, entertainment centers, ample storage and private en suite heads. She is powered by twin CAT 3412 engines which gives her a cruising speed of 22 knots.